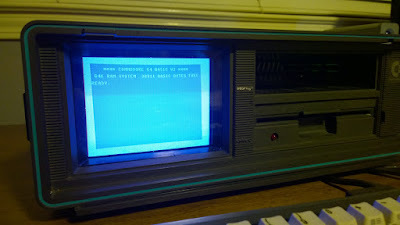 You turn on your beloved SX-64 and you don’t see the blinking cursor. Don’t panic. 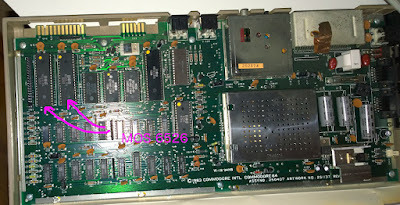 Most probably one of the CIA chips (MOS 6526) is not working correctly. The Commodore 64 has two CIA chips. What you need to do is to replace the one that controls the keyboard, the CIA 1. But if you don’t know which one is CIA 1 and which is CIA 2, then you can either replace both, or do trial-and-error, or look at the IO schematics (hint: it is the one with the UB3 legend). 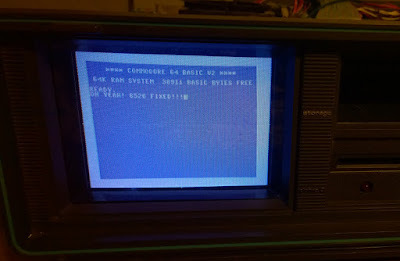 So, in order to get the replacement chip, you can get it on eBay, or extract it from another another C64 or SX-64. 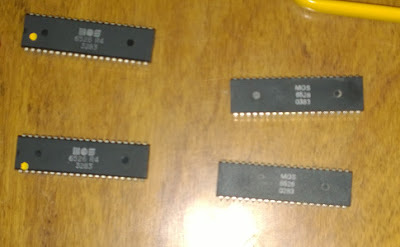 The MOS 6526 chips on a regular C64, are located at the top-left corner. I suggest using a chip extractor to extract the chips, although a flat screwdriver can work as well. 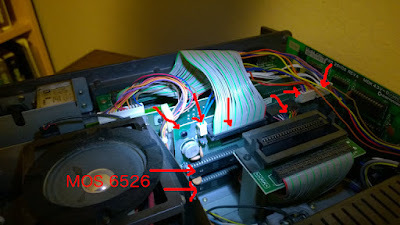 So now that you have the replacement chip, you have to put it on the SX-64. Opening an SX-64 is easy, but it has more screws than the regular C64. From the back, remove the upper 3 screws, both from left and right. 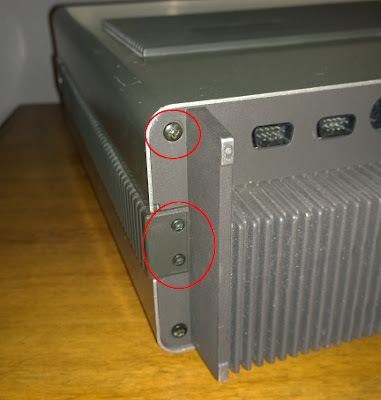 Remove the upper 3 screws. Identify the I/O card. It is easy to find it (look at the picture below). 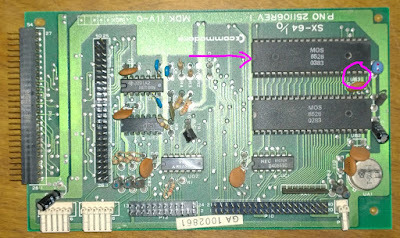 Then locate the CIA1 chip, the one with the UB3 legend. And replace it. Replace the chip with the UB3 legend. That’s the CIA 1 chip. In my case, I replaced both CIA 6526 chips with the newer MOS 6526 R4 version. Assemble everything and test it. Keyboard should work Ok.